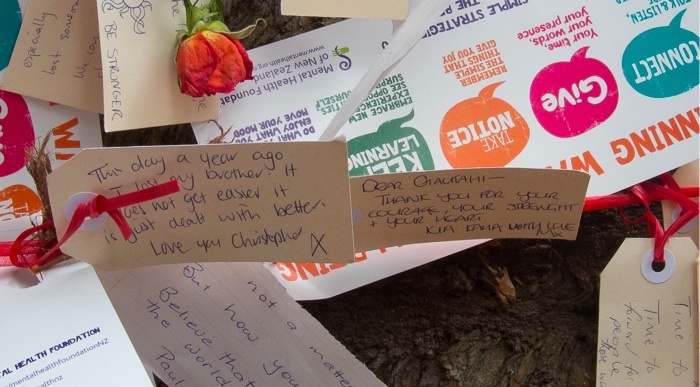 This week was the first anniversary of the February 22nd earthquake in Christchurch. Between that and the first week of lectures it has been hard to find time to write much about data analysis. Thus, if I owe you some analyses, some code or some text be patient, please. I’ll be back soon(ish). I have never been much of a downtown person, so it is no surprise that I haven’t been in Hagley Park for a while. 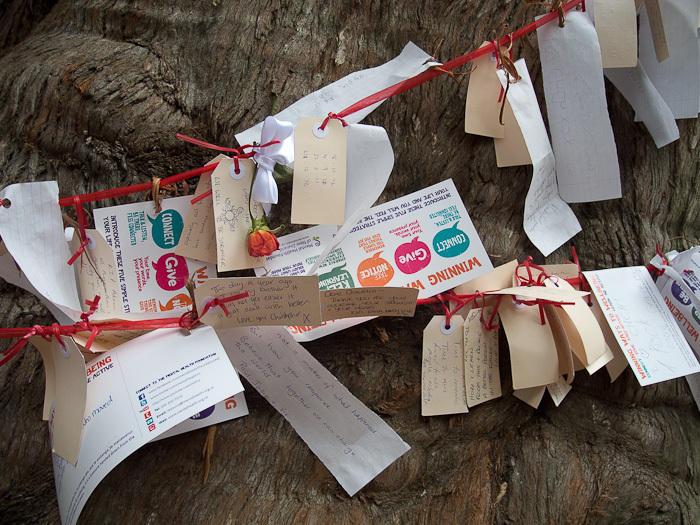 Today (Sunday in my part of the planet) was a a nice treat to spend some time there and see the interaction between city recovery and the Botanic Gardens, particularly in a Eucalyptus delegatensis surrounded by messages. 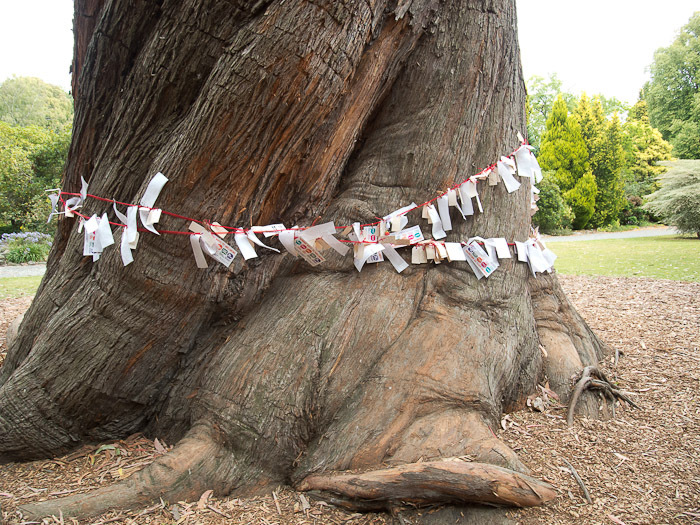 Earthquake messages around Eucalyptus delegatensis, Christchurch Botanic Gardens (Photo: Luis). Detail of messages (Photo: Luis). Trees can carry a lot of sadness and hope (Photo: Luis). 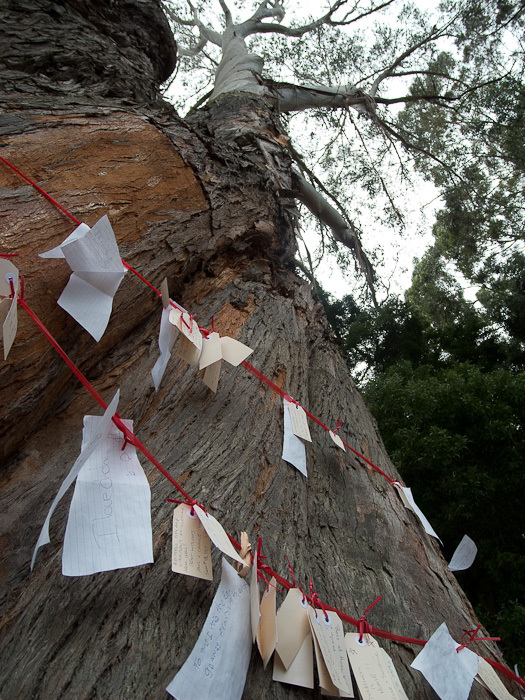 Up the eucalypt tree (Photo: Luis). Time for a pause, time to look forward. P.S. I wanted to attend the Christchurch PechaKucha tonight, but I ran out of time at the end. Next time.